If you are using a photo, make sure to separate it onto its own layer first. If you don’t know how to do this check out some of our other Photoshop tutorials to find out. To duplicate the layer, Press Ctrl+J or Right-click and choose Duplicate Layer. 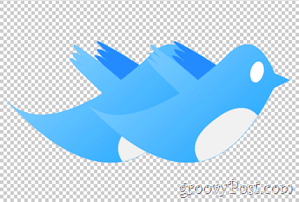 Next, arrange the duplicate layer so its slightly off to the side from the original. 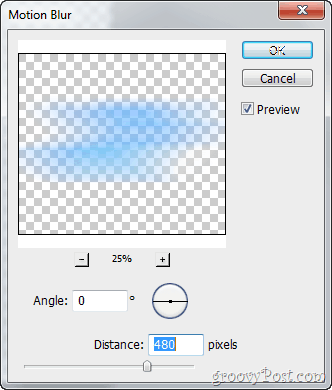 Now, making sure you have your duplicate layer selected, go to Filters > Blur > Motion Blur and then find an appropriate angle and distance. Then hit the OK button to see the results. If regular motion blur doesn’t quite appeal to you, then maybe you should try Radial Blur. 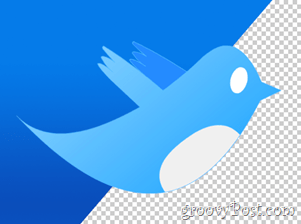 It can get you a pretty interesting effect, just like the one I did on the icon of this tutorial. 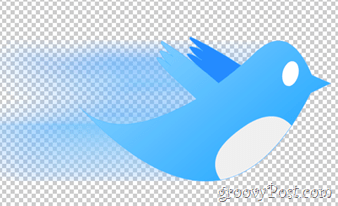 And looking at that cute Twitter bird all the time, doesn’t it make you want to visit Twitter to see what’s new? Me too, and while you’re at it, why don’t you follow us on Twitter?